FactEntry is an independent provider of bond data and documents with extensive knowledge of the debt capital markets and regulatory requirements. 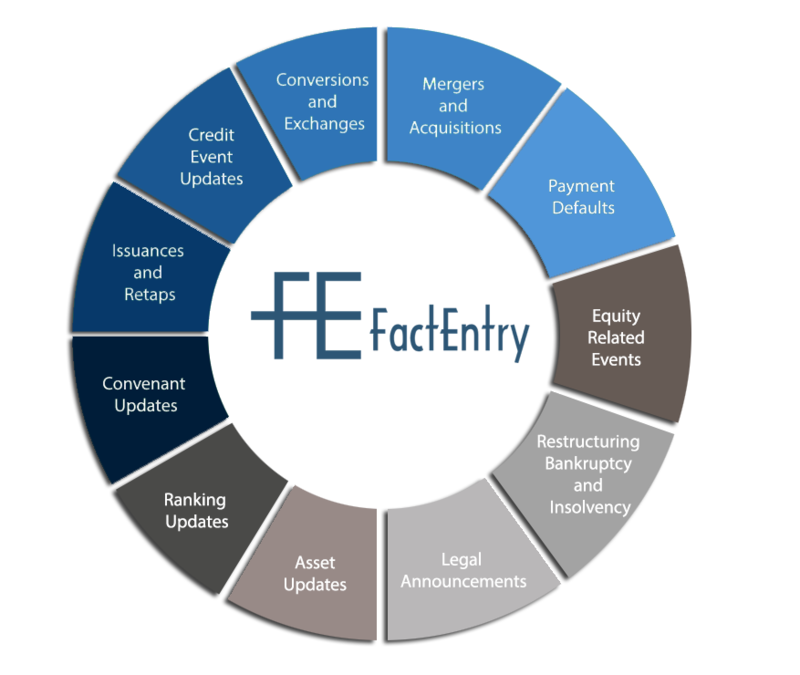 Since 2007 FactEntry has been providing clients with deep, granular bond data, compiled, mapped and constantly maintained in our fixed income securities master data file. Using a variety of methods including parsing, automation, AI and manual intervention, our dynamic database provides essential fixed income data, tracking the life cycle of over 700,000 bond issues. Whilst data is the foundation of our business, as fixed income specialists we are also able to offer a broader range of consultancy. We work with our clients to understand and deliver against their specific and bespoke requirements in the ever more complex and evolving field of bond trading, pricing, valuation and regulatory reporting. We are an essential, cost-effective solution, supporting both, the day-to-day business of investment and analysis, meeting the demands of a changing regulatory landscape.